The organizer of the notorious Fyre Festival pleaded guilty Thursday to charges that could have him facing more than 10 years in prison. 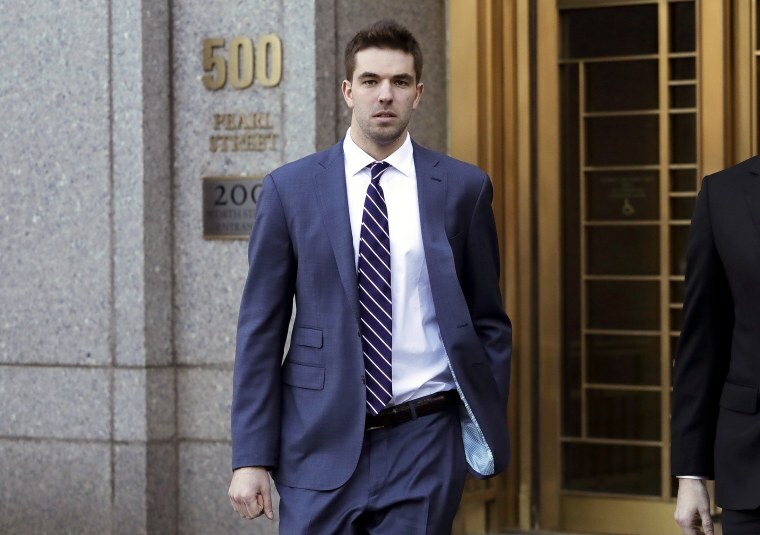 Billy McFarland had already pleaded guilty in March to wire fraud charges relating to his failed April 2017 music festival in the Bahamas, a low-budget fiasco which proved to be nothing like the blow-out he and some social media influencers were promoting online. The event cost investors over $26 million. These new charges and pleas — one count of bank fraud, one count of wire fraud, and one count of making false statements — relate to a separate con that McFarland was running around the same time as the Fyre Fesitval, selling phony tickets to fashion, music, and sports events, according to a statement from Manhattan U.S. Attorney Geoffrey S. Berman. McFarland was able to get about $150,000 in fake ticket sales as part of this scam. Combined, his charges could lead to a maximum of 115 years in prison, but his plea deal calls for 11 to 14 years. McFarland is set to be sentenced in September. McFarland's attorney, Randall Jackson, had no comment when reached by phone.